Scrum has become mainstream in recent years. It is also used more and more outside of IT, such as in marketing teams. However, Scum is not without its pitfalls and most Scrum implementations can be improved considerably. Participants for whom Scrum is new will learn how to apply it well. The training helps enormously to avoid common pitfalls. 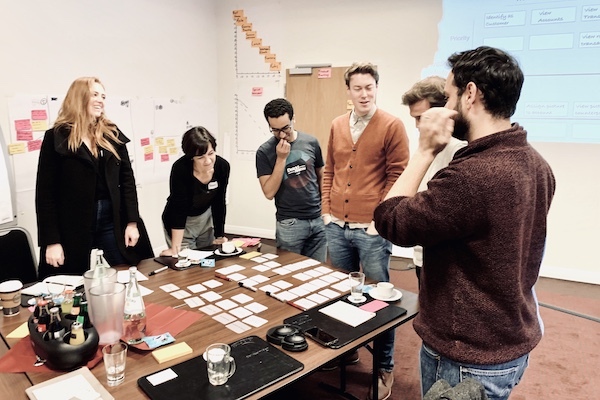 But also participants who have practiced Scrum for years learn much about how to get their team and organization involved in further improvements. The training courses are organized as Scrum projects. Together with the participants, a Product Backlog is made for the training based on questions and learning goals of participants. The two days of the training are two sprints. The second day starts with the joint planning of the second sprint, where new questions can be added to the backlog and the priorities are revised. This way, you experience how value is delivered with Scrum in an iterative way. The course optimally matches the specific questions and learning objectives of the participants. It is of course ensured that all “mandatory” topics are always covered. The trainings are very interactive with many exercises that are performed in small groups. There are also lively presentations by the trainer. The slides are shared by email after the training. As a participant you learn a lot in a fun way and the two days fly by. The training courses are in English. 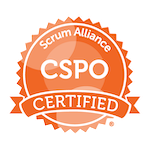 There are two different courses: the Certified Scrum Product Owner (CSPO) and the Certified Scrum Master (CSM) course. Both courses focus on how Scrum can be used as effectively as possible. Click on the CSPO or CSM logo below for more information.